Gobbledygeek episode 265, “Now the Fun Begins (feat. Joseph Lewis),” is available for listening or download right here and on iTunes here. Three men. One room. Now the fun begins. (Feel free to interpret that any way you wish.) Hitchcock Month continues, as A/V writer-director Joseph Lewis drops by to discuss 1948’s Rope, wherein John Dall and Farley Granger’s perfect murder is in danger of being unraveled by Jimmy Stewart; and 1954’s Rear Window, in which Stewart’s busted-up photographer spies on his neighbors, including a potentially murderous Raymond Burr. 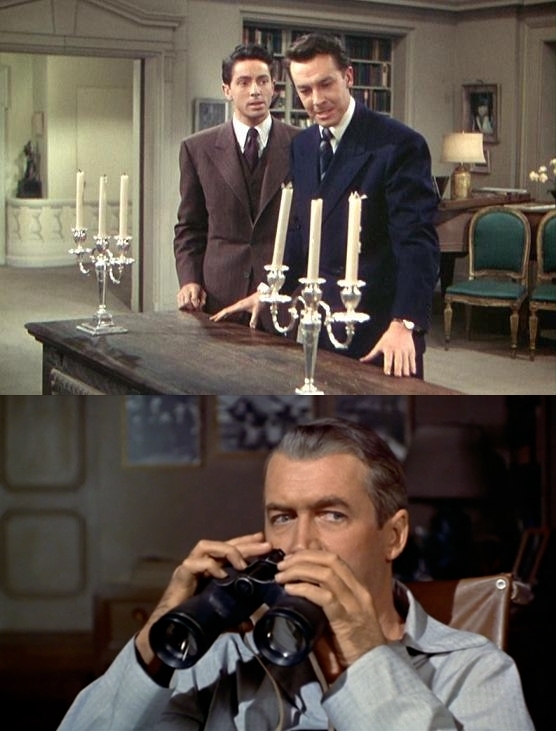 Paul, AJ, and Joe discuss the one-take gimmickry of Rope and how it translates the stage to screen; the homosexual subtext (or text) of that film; what Hitchcock had to say about voyeurs; and Hitch’s subversive casting of the all-American Jimmy Stewart. Next: Hitchcock Month continues, as Wanna Cook? co-author Ensley F. Guffey discusses 1944’s Lifeboat and 1954’s Dial M for Murder. This entry was posted in Shameless Self-Promotion and tagged alfred hitchcock, farley granger, films, gobbledygeek, hitchcock month, itunes, jimmy stewart, john dall, libsyn, movies, mystery, podcast, raymond burr, rear window, rope, suspense, thriller. Bookmark the permalink.